Seven feet tall. Four hundred pounds. A rusty and razor-sharp fingernails that pluck out his victims' eyes. Reclusive psychopath Jacob Goodnight is holed up in the long-abandoned Blackwell Hotel, until eight petty criminals show up for community service - along with the cop who put a bullet in Jacob's head four years ago. I seen this one for the first time a few years back. While I still enjoyed it... It did seem to loose a bit of something on a second viewing. I don't know... I guess it just didn't feel as new and different to me this time. But the film is a good 10 years old now. Still worth the time put in to watch it. On the mystical island of Themyscira, a proud warrior race of Amazon women thrives, shielded from the corrupt world of man. But a betrayal leads to the escape of Ares, the God of War, and Amazon Princess Diana must capture him before he unleashes global chaos and destruction. With the aid of cocky fighter pilot Steve Trevor, Diana tracks Ares to the United States for a battle unlike any humankind has ever faced in this epic tale of the princess who becomes the World's Greatest Super Heroine. Enjoyed this movie just as much this time as I did the first time I watched it. It is definitely heavier on the violence as well as some suggestive dialog. So it is not one for the kiddies... but I don't think it is to bad... I would say the teens on up would enjoy this movie. One thing I did find a little on the strange side is that you don't hear the name Wonder Woman till the end of the movie. But that is such a minor thing it doesn't matter in the least. A team of the world's most dangerous incarcerated supervillains, with the most powerful arsenal at the government's disposal, is sent off on a mission to defeat an enigmatic, invincible entity. I must say I enjoyed this one quite a bit. I really liked the story line.... well the whole set up of Suicide Squad as I wasn't too familiar with it before this film came out. When I first heard it was being made I had my doubts. But now I see it as a must see and can easily see myself watching it again. 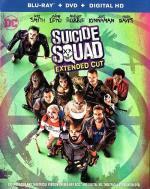 I think there was 2 stand out cast members in this one... Will Smith as Deadshot and Margot Robie as Harley Quinn. Another thing I noticed is that DC taking a page out of Marvel's playbook with mid/end credit scenes leading up to the Justice League film. This one is highly recommended. 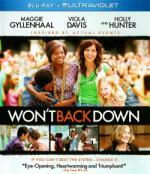 OSCAR® Nominees Maggie Gyllenhaal and Viola Davis* lead a stellar cast in this rousing drama inspired by actual events. Hard-working single mom Jamie Fitzpatrick (Gyllenhaal) is concerned that John Adams Elementary is letting her daughter down. Teaming with a caring teacher (Davis) who wants the best future for her own son, she sets out to improve attitudes and elevate the school's academic standards. Despite the odds, with courage, hope and persistence, the women just might prevail in this uplifting film that also stars Rosie Perez and Academy Award® Winner Holly Hunter**. *Maggie Gyllenhaal: 2009, Supporting Actress, Crazy Heart. Viola Davis, 2011, Actress, The Help; 2008, Supporting Actress, Doubt. **Holly Hunter, 1993, Actress, The Piano. I found this to be a very entertaining film. It is a good true story... and it has several familiar faces. Unlike most true story films this one doesn't give you any kind of notes on what happened after the story that was told.... and I would have liked to have seen that. But over-all the film easily kept my attention and seemed to go by quickly. Definitely worth the time put in to watch it. While a decent movie... I really did expect more from it. It should have been a little less story driven and a little more action. Plus it felt like more of a "continuing adventures" type film then telling the legend of Tarzan. Then there is the fact that they changed Jane's whole background. 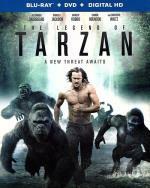 Worth checking out... but there is definitely better Tarzan movies out there. If you could commit any crime without consequences, what would you do? 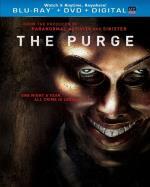 From the producer of Paranormal Activity and Sinister, comes an inventive thriller that dares you to survive the most dangerous night in America – The Purge – when all crimes are legal for 12 hours. When an intruder breaks into James Sandin's (Ethan Hawke) gated community during the yearly lockdown, he begins a sequence of events that threatens to tear a family apart. Now, it is up to James, his wife, Mary (Lena Headey), and their kids to make it through the night without turning into the monsters from whom they hide. I been curious about this franchise for quite some time. I finally found a copy of the first one while out and about yesterday so grabbed it quickly. And I must say I am glad I did. I feel the cast did a great job... and the atmosphere is right on mark. This is one I feel comfortable recommending. Dreamers Wanted...Disney invites you to an incredible world of epic imagination where anything is possible. Buckle your seat belt, as the director of The Incredibles takes your family on an action-packed thrill ride! 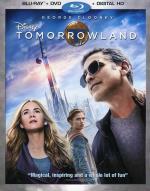 Join former boy genius Frank (George Clooney), optimistic, science-minded teen Casey (Britt Robertson), mysterious Athena (Raffey Cassidy) and the brilliant David Nix (Hugh Laurie) in a world of pure Disney imagination. Tomorrowland transports you on an inspiring and magical journey of wonder and adventure to a place where if you can dream it, you can do it. I found this one to be an entertaining film. I think the cast did a fine job... I especially think the two young girls in this film were very good, and the story line easily kept my attention. Worth the time put in to watch it. 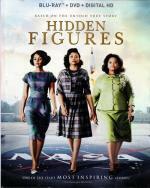 Hidden Figures tells the incredible untold story of Katherine Johnson (Taraji P. Henson), Dorothy Vaughan (Octavia Spencer) and Mary Jackson (Janelle Monáe)—brilliant African-American women working at NASA who served as the brains behind the launch into orbit of astronaut John Glenn, a stunning achievement that turned around the Space Race. The visionary trio crossed all gender and racial lines and inspired generations. I have to say I loved this film. A truly interesting and powerful story with a great cast. I could not turn away from this film. It grabbed my attention so easily that I was surprised when it was over. And this film is just over 2hrs long! If you are like me and enjoy true stories this is one not to miss. I highly recommend it! I can hardly wait to watch it again when I show it to Gen and Moira. The odd get even in this outrageously funny comedy classic that comes to Blu-ray™ for the fist time. When a group of socially challenged misfits at Adams College decides to start their own fraternity, the campus nerds soon find themselves in a battle royale with the bullying jocks of Alpha Beta. But in this hilarious game of brains vs. brawn, the nerds devise the perfect plan to gain the upper hand and win the day. This one... while not quite as good as I remembered it to be is still some fun entertainment. Of course my tastes has changed since the last time I seen it back in my teens. But still today this film is worth a watch... a fun flick with a good message. One of the extras on the blu-ray disc is the pilot episode what was an attempt of a TV sitcom version of the film. The pilot basically runs the same story line of the movie but no where near as good. The whole revenge part was rushed... made no sense... and was never explained. American servicemen are still being held captive in Vietnam — and it's up to one man to bring them home in this blistering, fast-paced action/adventure starring martial arts superstar Chuck Norris. 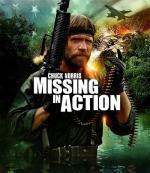 Following a daring escape from a Vietnamese POW camp, Special Forces colonel Jame Braddock (Norris) is on a mission to locate and save remaining MIAs. Aided by a beautiful State Department official (Lenore Kasdorf) and a former Army buddy (M. Emmet Walsh), Braddock amasses top-secret information and state-of-the-art weaponry. Now this one-man army is prepared to blast his way into Vietnam..but will he be able to blast his way back out? I remember back in the '80s to early '90s I would never miss this film when it aired on cable. But I must say this one didn't hold up as well as I expected. Just goes to show you how much tastes change. While I still enjoyed the film for what it is... an excuse for non-stop action... I am not nearly as thrilled with it as I used to be. 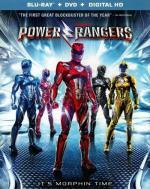 SABAN'S POWER RANGERS follows five ordinary teens who must become something extraordinary when they learn their small town of Angel Grove - and the world - is on the verge of being obliterated by an alien threat. Chosen by destiny, our heroes quickly discover they are the only ones who can save the planet. But to do so, they will have to overcome their real life issues - and before it's too late, band together as the Power Rangers. This is coming from a person that while liked the idea of the TV series... never liked the series itself. But lets face it... the series is geared to a much younger crowd then me. This isn't the case with this film. It felt much more like an origin story of superheroes. Going into this film I wasn't sure it would be something I would enjoy and keep in my collection... Now I can say I enjoyed this film... it will be staying in my collection... and I would even like to see a sequel or two. I would say you should definitely give this one a chance even if you weren't a fan of the series. Award-winning actress Renee Zellweger stars as Lucy Hill, a high-powered executive in love with her upscale Miami lifestyle. Seeking to snag a big promotion, Lucy agrees to move to a remote Minnesota town to oversee the restructuring of a blue collar manufacturing plant. After enduring icy roads, freezing weather and a chilly reception from the locals, she soon warms up to the small town and its people - especially the town's handsome union representative (Harry Connick, Jr.). What begins as a job assignment becomes the best thing ever to happen to her in this heartwarming comedy that proves that the warmest people are often in the coldest places. I found this one to be fun. Is entertaining enough to keep my attention with ease... but like most Rom-Coms it is very predictable. Definitely worth the time put in to watch it. Individually, they've starred in the most adrenaline-pumping martial-arts adventures ever. Together for the first time, Jet Li and Jackie Chan join forces to create the greatest epic of them all - The Forbidden Kingdom. 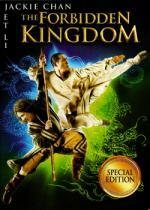 As ancient Chinese warriors, they must train and mentor a 21st century kung-fu fanatic who's been summoned to fight a centuries-old battle and free the imprisoned Monkey King. If you're a fighting fan, the wait is over. The team is ready. The Kingdom has arrived. This is one I enjoyed a lot. It has a good mixture of Martial Arts. Adventure and Fantasy... with just the right amount of comedy sprinkled in. It was fun seeing Jackie Chan and Jet Li in a film together. This is one I hope to upgrade to Blu-Ray. When Hugo discovers a secret left by his father, he embarks on a quest that will lead to a place he can call home. Academy Award®-winning* filmmaker Martin Scorsese directs what critics called "the stuff that dreams are made of" (Peter Tavers, Rolling Stones). 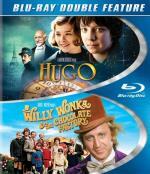 Rediscover the magic ofa family classic with Willy Wonka and the Chocolate Factory. Starring Gene Wilder, this deliciously sweet musical based on Roald Dahl's beloved book never fails to enchant. Now this is a film I haven't seen in many years. While I enjoyed the remake with Johnny Depp... it can not take place of the original. This is one of the few movies that I actually liked Gene Wilder in. It is a true '70s classic. Well worth the time put in to watch it.